Are you a biracial adult between the ages of 18-35? We are conducting a research project (IRB #08-06-01) to study the racial socialization messages that parents transmit to their children with multiple racial identities. 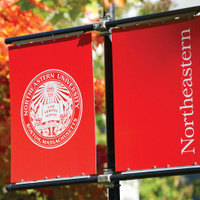 If you have any questions, please contact Laura Fischer by email at Fischer.La@husky.neu.edu. The first 100 people to complete this survey will be eligible to be entered into a raffle to win one of ten $10 Amazon gift cards.